Skull Face Mask. This skull mask can be used in many different ways for different activities. You can make a hat, a scarf, or a face mask. Made of high quality polyester, skull print on surface. We are normally much quicker than this. Automatic switching among bluetooth cell phone, intercom, stereo music. Intercom up to 6 hours. Supported Bluetooth Profiles: Bluetooth Headset and Hands free Profiles with Automatic Detection. Bluetooth version:3.0 EDR. It can be used as a neck tube, headband, hat, balaclava, snood, bandana, beanie and so on. 1 x Neck Tube. Material: Cotton. Color: Black. 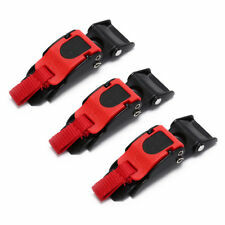 We are professional manufacturer to produce car Holder products and 3C Accessories. Ideal for daily wear to protect from pollution, dust, ash and the like. A vital choice for outdoor work or sports such as builders, cyclists, campers etc. Unisex nose & mouth Face Mask. Covers Nose, Mouth And Chin For Full Protection. 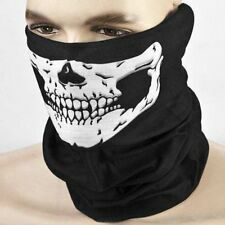 This is a new, 3 hole black SAS style balaclava, could be used for various outdoor activities like biking, fishing, horse ridding, skating, hunting, paintball, etc. 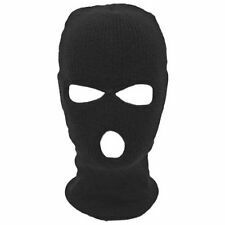 Use these SAS balaclava to keep your neck and head warm. RARE Yellow Vintage 1970's Motorcycle Helmet LSI-4150 Full Face Shield SMALL?? ?